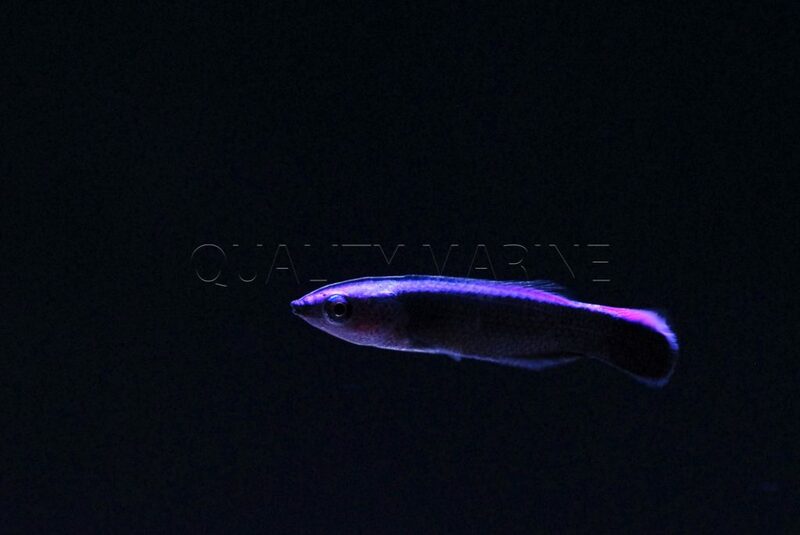 Captive-bred Hawaiian Cleaner Wrasses make their debut at Quality Marine. 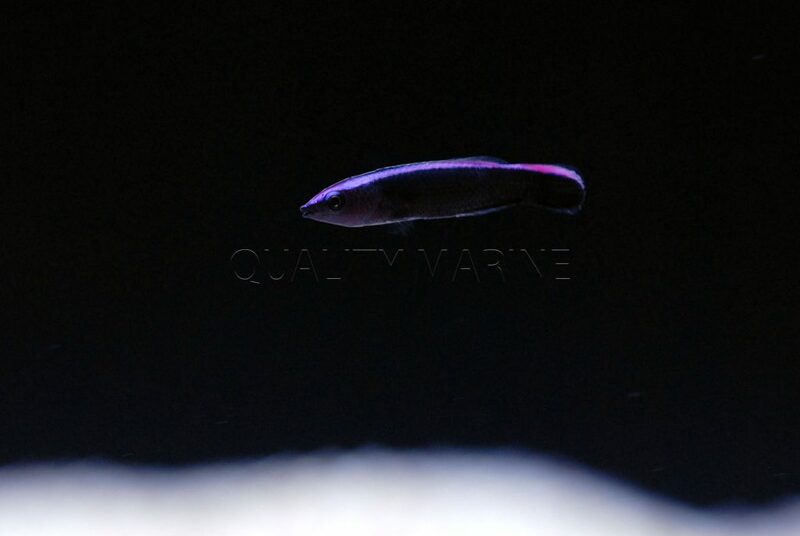 2016 has been a year of amazing developments in marine species aquaculture, and now, in the closing moments of the year, Quality Marine has yet another tank bred species in house: Hawaiian Cleaner Wrasse (Labroides phthirophagus), fresh from the research team at Oceanic Institute in Hawaii, with support from Rising Tide Conservation. These particular HCW’s came from the second to last collection of the project, in mid-October. Though, it is very exciting that this species has turned up consistently in collections throughout the duration of the project! In all cases, the captive reared Hawaiian Cleaner Wrasses have been vigorously feeding on enriched brine shrimp, frozen cyclopeeze, commercial weaning diets, and even flake food at the Oceanic Institute. Excitingly, they began exhibiting their natural cleaning behavior on other fish housed in the grow-out tanks just a few days after settlement, around 40 days post hatch. In the wild, the Hawaiian Cleaner Wrasse inhabits the coral reefs primarily in the surge zones. They are a cleaner species that feeds on parasites, mucus and dead skin on other reef fish and will even create cleaning stations. Traditionally, this species of wrasse has been considered sensitive and challenging to care for, as wild caught fish have been difficult to feed properly. Thus, they have always been recommended for more experienced hobbyists. Their aquacultured counterparts have been reared on readily available diets, and don’t have these same feeding issues. They are a very active swimming fish so we still recommend multiple feedings a day. 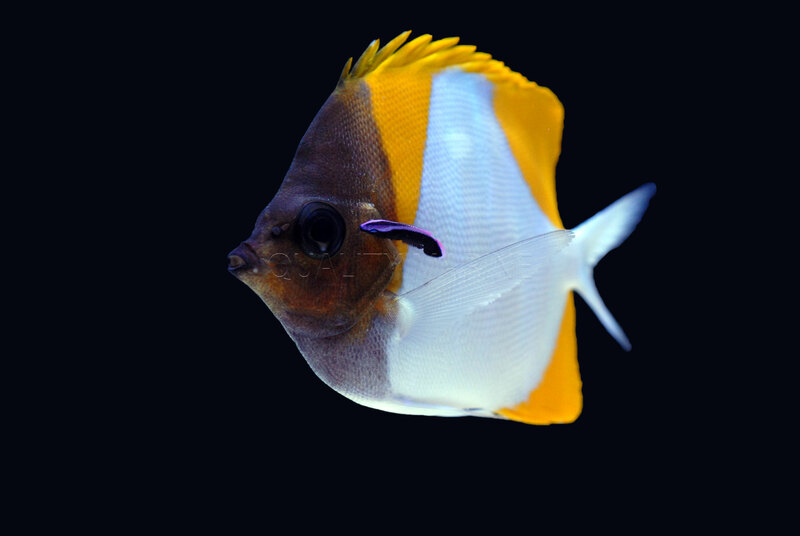 They aren’t aggressive, so house with tank mates of similar temperament; however, they can be territorial towards other fish that look similar. This is the first time Labroides phthirophagus has been reared in captivity as a result of this project, and it is yet another triumph Oceanic Institute and Rising Tide Conversation as they continue to make strides in aquaculturing an even more diverse collection of species. Quality Marine’s main focus has always been to provide the highest quality and most sustainable marine animal to our customers, so we are thrilled to have these fish in our facility and for the opportunity to support these aquaculture initiatives. These small captive-bred wrasses give a great glimpse at the juvenile coloration of the species. 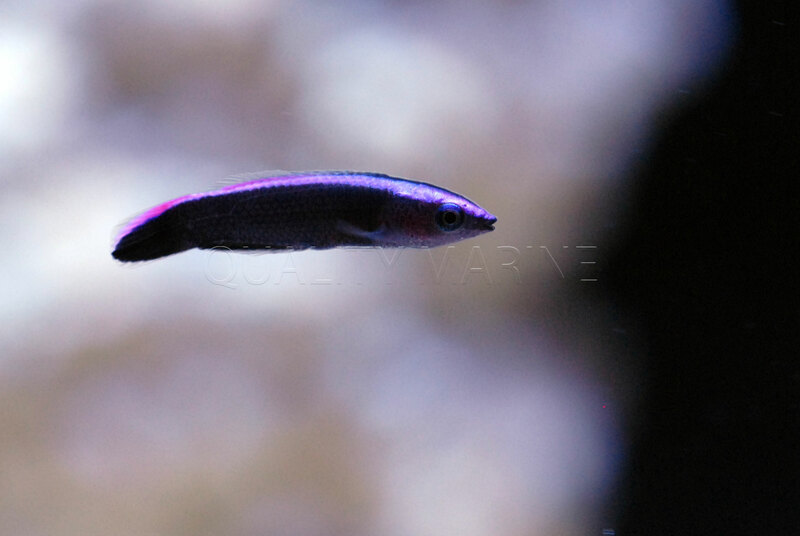 One more look at the Quality Marine’s captive-bred Hawaiian Cleaner Wrasses.